Diacetyle, an ingredient in popcorn responsible for its buttery flavor and smell may be linked Alzheimer’s disease. Best to buy organic popcorn, which I use. Synthetic food dyes are linked to disrupting children’s behaviors. 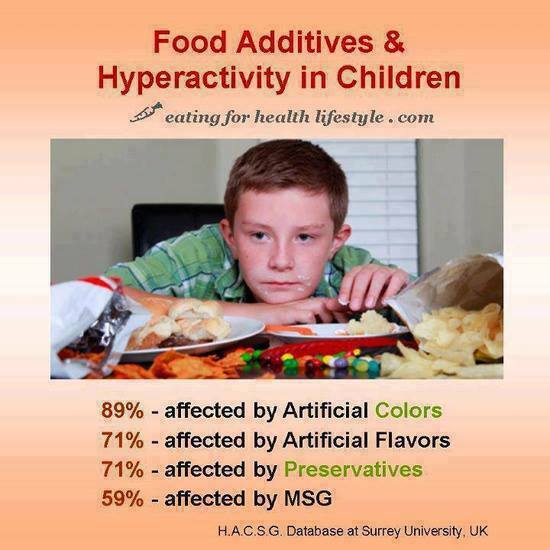 Dyes, as well as the preservative, sodium benzoate, adversely affect kids’ behavior. Dyes are used constantly in foods to appeal to the consumer. Dyes prevalent in sugary cereals, candies, sodas, snack foods. Basically, any time you see the name of a “color” followed by a “number,” it’s a dye. Most of Europe bans dyes. In fact, our m&m’s candies are much brighter than Europe’s m&m’s because we allow for dyes. Of course, not everyone is affected by dyes, because everyone is different. Remember, Europe is much healthier than us, for a reason.